Virtually every aspect of life is addressed, including health, career, relationships, money, and sexuality. Revelatory insights are shared for finding a career consistent with your innate drives and abilities, understanding the hidden dynamics of your relationships, and living in harmony with the cycles of life. Key spiritual laws specific to each life path help to clarify the past, understand the present, and shape the future generating a quantum leap in self-understanding. In this newly revised 25th anniversary edition, Millman shares the fascinating story of how he learned this system and why he chose to share it as well as a variety of new, updated, and extended insights. 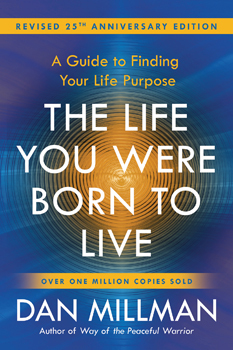 The result is an ever more powerful tool for understanding, changing, and optimizing the course of any life.